Mountain Bike guide, Justine, on the Arrowhead Trails. There are 12.8 miles of trails on the Arrowhead Trails. The trails range from just longer than a mile to more than 8 miles long. Most trails in this area fall in the beginner to intermediate range. Depending on which trail you decide to ride, it will take you anywhere from 30 minutes to more than 2 hours. One of the best-kept secrets in the mid-Atlantic, mountain biking here may not be a secret for much longer. Trails for bikers of all levels, with great views and easy access to a friendly small town, make this place a must-visit any time you’re passing through. If you're a rock climber, a hiker, a whitewater boater, or ATV-er, then chances are you know all about the New River Gorge. 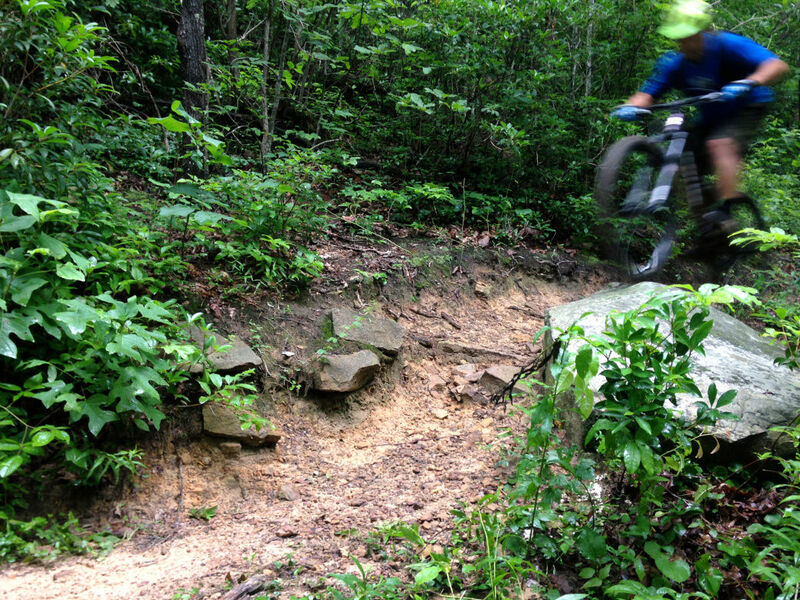 If you’re a mountain biker, though, you may not have even heard of one of the best hidden gems in the entire mid-Atlantic region. You probably spend your vacation time just around the corner from the New at Dolly Sods. You probably don’t even know what you’re missing. Here’s what you’re missing: A friendly, pub-rich small town nestled in the middle of nowhere with easy access to miles and miles of trails. If that weren’t enough to convince, maybe this will: there’s not one, but two bike shops—and a bike farm. Your first stop should be the nearly 13 miles of loopy, roller-coaster-style singletrack of the Arrowhead Trails. Built almost entirely by Boy Scouts in one frenzied two-month period in 2012, Arrowhead is a dream spot for beginners and intermediate riders. Experienced riders looking for more technical terrain will also be happy to know there are several areas under construction as we speak, and more coming, especially on the far side of the Gorge near a sustainable community called Wild Rock. Stop by Marathon Bikes, New River Bikes, or the Arrowhead Bike Farm for more information about everything bike-related. 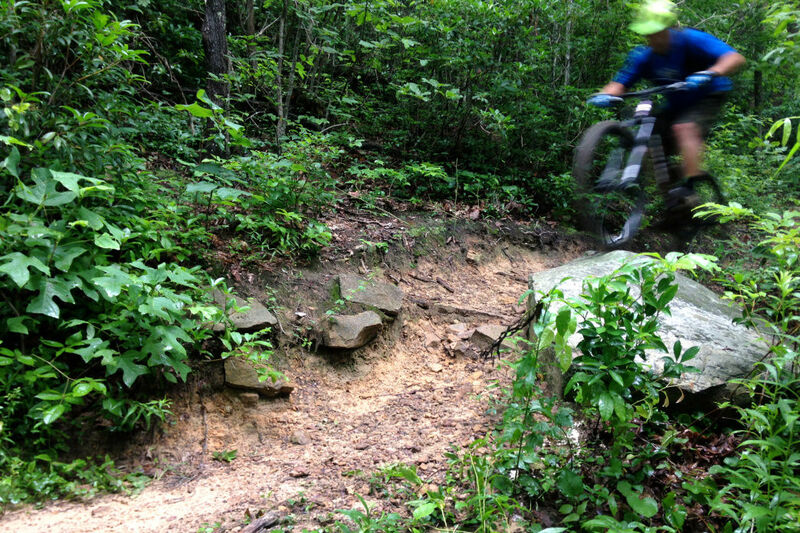 Mountain bikers will absolutely love the Arrowhead Trails at New River Gorge. And with more trail miles being developed constantly, you’ll love it more and more each day, no matter what your skill level—unless you ride Red Bull Rampage-style. Beginners and intermediate riders especially will have a blast on Arrowhead, one of the highest-quality loops of single track in the East. Despite the current spike in development, the area here still falls a little shy of a full mountain biking vacation. But, it’s great for weekends or as a waypoint when traveling through. Like the climbing, boating, and hiking in the area, the mountain biking is a little spread out. For specific directions, stop in at one of the two bike shops in town, Marathon Bikes or New River Bikes, or check out the National Park website. Much of the riding here is on National Park land, so regulations do apply.